Hydro Dynamics Corp has performed thounsands of such Phase I ESA for our clients for their property transactions and refinancing and we have licensed professionals with lowest costs that no one can beat!. 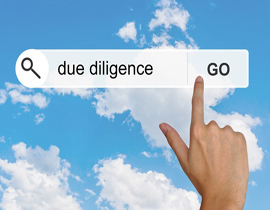 The Phase I ESA is generally considered the first step in the process of environmental due diligence. Standards for performing a Phase I site assessment have been promulgated by the US EPA and are based in part on ASTM in Standard E1527-13. A Phase I environmental site assessment is a report prepared for a real estate holding that identifies potential or existing environmental contamination liabilities. 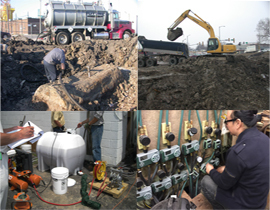 Hydro Dynamics Corp has conducted hundreds of Phase II ESA throughout midwest areas. Unlike other consultants, HDC has its own field team with necessary sampling and drilling equipments to make easy scheduling and to have competitive pricing. Hydro Dynamics Corp has cleaned up hundreds of contaminated sites, from linking underground storage tanks, drycleaning solvents, industrial contamination, heavy metal contamination, to air pollution. 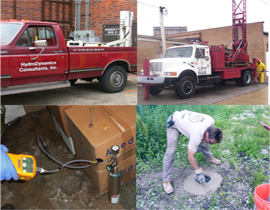 HDC has helped our clients to receive several hundreds of No Further Remediation letters from Illinois EPA for official closures of the sites. Environmental remediation deals with the removal of contaminants from environmental media such as soil, groundwater, sediment, surface water or air. Remediation is generally subject to an array of regulatory requirements, and also can be based on assessments of human health and ecological risks where no legislated standards exist or where standards are advisory.